South Bend is a city in the northern part of Indiana, best-known as home to the University of Notre Dame. South Bend is no ordinary college town. 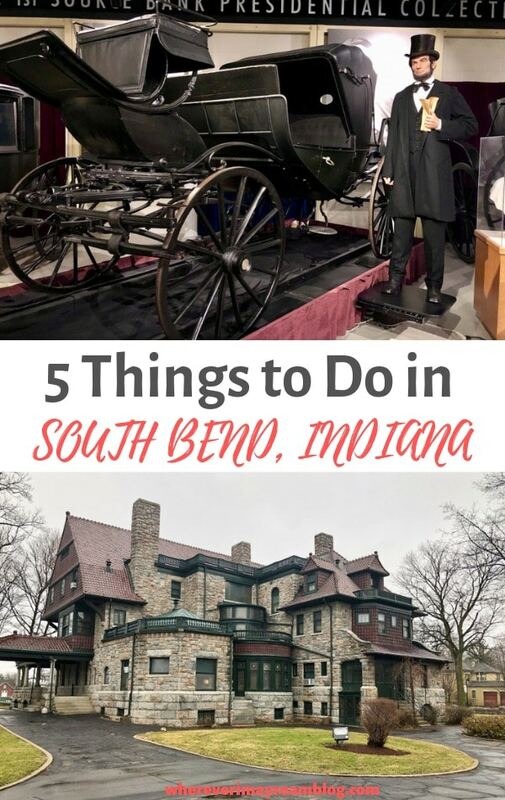 From a beautiful Italian-inspired grotto to top-notch Broadway shows, classic car collections to amazing cuisine, here are five things to do in South Bend, Indiana that you are going to enjoy! The Oliver family of South Bend, Indiana made their money from a chilled (cooling) plow, unique for its time and necessary for people mostly everywhere. Their wealth is displayed at the 38-room Copshaholm at the Oliver Mansion that the family lived up in and passed down through generations. Copshaholm is one of the finest historic homes in the Midwest–maybe even in the United States. The tour includes visiting all three floors of the beautiful Romanesque Queen Anne home. Not only are the furnishings original to the Oliver family, but the mansion’s woodwork is impressive and one-of-a-kind. Don’t miss the Tiffany leaded glass in the domed second story windows or the framed portraits of visitors in the man-cave den featuring Henry Ford and other men of this stature. South Bend, Indiana is home to the nearly 100 year-old Morris Performing Arts Center. Showing a handful of touring Broadway shows annually, as well as monthly concerts, performances, and symphony orchestras, this gorgeous theatre is a gem in the heart of town. It was originally built as a vaudeville venue. Having seen Les Miserables at the theatre, I can comment on how incredible the musicians were as well as the talent of the groups coming to the theatre. Come early and enjoy cocktails, buying souvenirs, and the beauty of this town gem. The Morris is listed on the National Register of Historic Places and continually on the the top 100 theaters worldwide by Pollstar magazine. Empanadas are a typical food where I live in South Florida, but I did not expect to come to the Midwest to eat the best empanadas of my life! A menu staple at The Livery, choose from seven flavors of empanadas. An order contains three pieces; perfect for sharing or in lieu of an entree. We tried three empanada varieties: Queso (Havarti, gouda, black bean purée), Chicken (bean, tomato, avocado salsa), and Corn (yellow cheddar, truffle, jalapeño-cilantro crema). The Livery’s empanada dough is the right consistency, fried to perfection, and the filings are flavorful and delicious. Pair your empanadas with The Livery’s seasonal sangria, margarita, or a specialty cocktail. Studebaker is a name associated with South Bend, Indiana. It was here that the classic buggies (and later popular cars) were invented. The Studebaker National Museum is amazing! A treasure trove of historic cars are in the back of the museum, as well as three floors full of beautiful cars, buggies, and other Studebaker produced items. Amongst some of the best hidden gems in Indiana are four special carriages that belonged to US Presidents. The Studebaker Museum’s biggest draw is the Barouche, the last vehicle to carry Abraham Lincoln alive. Impressive, huh? For history buffs like myself, seeing the Brewster Landau carriage that took Ulysses S. Grant around the country for years was my favorite part. Two others carried William Henry Harrison and William McKinley, a Brougham and Phaeton respectively. Talk about fascinating! A fifth was used for Marquis de Lafayette. A cute car-hop scene is built around the Studebaker 1950’s rides, complete with a soda fountain and jukebox. I marveled at the colorful cars, reminding me of a plentiful Easter basket. Other museum areas showcased include touring, a military collection, the original 33 Studebakers on display, and interactive exhibits, including a Super Service Center area for kids to enjoy. You can’t come to South Bend, Indiana without seeing the Golden Dome of the Fighting Irish. This is the most recognized landmark of the private Catholic research university. Home to the University of Notre Dame, South Bend’s crowning jewel is one of the highest ranked higher education spots in the nation. Notre Dame was founded in 1842. Take time to admire and reflect at the Grotto of Our Lady of Lourdes. The grotto is a beautiful Italian replica that is a religious spot for Catholics. Light a candle for someone you love or to honor the memory of someone you’ve lost. It is truly an Irish day every day in South Bend. Need a Place to Stay in South Bend? South Bend’s premier boutique hotel, the Aloft South Bend, in the heart of town and within walking distance to many things. The see through fireplace in the exterior wall of the hotel is the first dose of hospitality you’ll receive at this stylish and contemporary offering. With free Wifi, a lively bar scene, and billiards/games in the lobby, Aloft is an exceptional place to stay. When you are looking for a great road trip destination or a weekend getaway, keep South Bend, Indiana in mind. This charming town has many hidden gems you don’t hear about every day. The food scene alone is enough reason to visit. To learn more about South Bend, check out their website. Thanks to Visit South Bend for hosting my stay and activities. As always, opinions and reviews are 100% mine and unbiased. I truly believe that South Bend is one of the BEST hidden gems in the Midwest. The food is fantastic, amazing history AND it’s a college town- they have it all going on. I loved going to Hamilton County / Carmel a couple years back. Indiana has a lot going for it. The food was objectively good so I can totally see how you had the best empanadas in South Bend. Ed says the closest he came was Kokomo so we’re both do a visit. I had no idea South Bend had so much going on…and empanadas? I LOVE empanadas. I just got back from Argentina and ate my weight in them. So I definitely want to try those there…and all those old Studebakers…they are beautiful! Also, great hotel choice. I love the Aloft chain! 38 rooms?! I always love exploring mansions 😉 Throw a broadway show in with some delicious food, and I’m there! Looks like I need to head to Indiana now, thanks! I had no idea that South Bend has so much to offer. The Morris Performing Arts Center is stunning. I’m sure the beauty of the building accentuates the performances. The artwork at the Copshaholm is amazing too What fun to visit the Studebaker Museum. I would be interested in seeing the carriage that last carried President Lincoln. I lived in Indiana for years and never stopped in South Bend. I’d love to see the Oliver Mansion. Really cool they have the original furniture as a lot of historic houses only have a few pieces if that. Thanks for putting it on my radar. Next time we are back home, we will have to check it out! Never heard much of South Bend as a tourist destination before, but it sounds like an amazing place to visit. Those empanadas look delicious! And I’d probably spend hours looks at those classic cars! 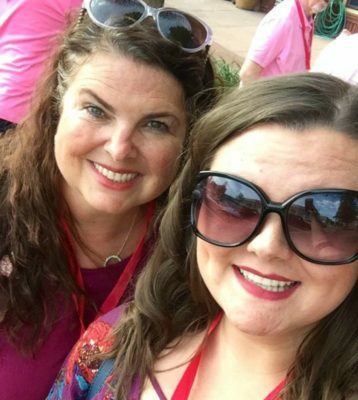 You just seem to have this knack to finding these cute little US towns with really wonderful history and architecture, and of course you find the best places to eat too!! I love those cars, I could spend all day looking around there! Empanadas are one of the foods that I always enjoy picking from a menu and these look great. Such a sweet town to enjoy everyday life and take lazy walks. I wouldn’t miss the vintage cars. Great ideas and it’s all new to me, as I’ve never traveled to the US so far. I like the Copshaholm house, but also the interior of the Morris art center. Wow so many things to do in Indiana! I didn’t know it was such a fun place. I can’t wait to visit now.